because why choose, dahling? Have it all! When the beau’s away, it’s time to play, and to indulge like nobody is watching. 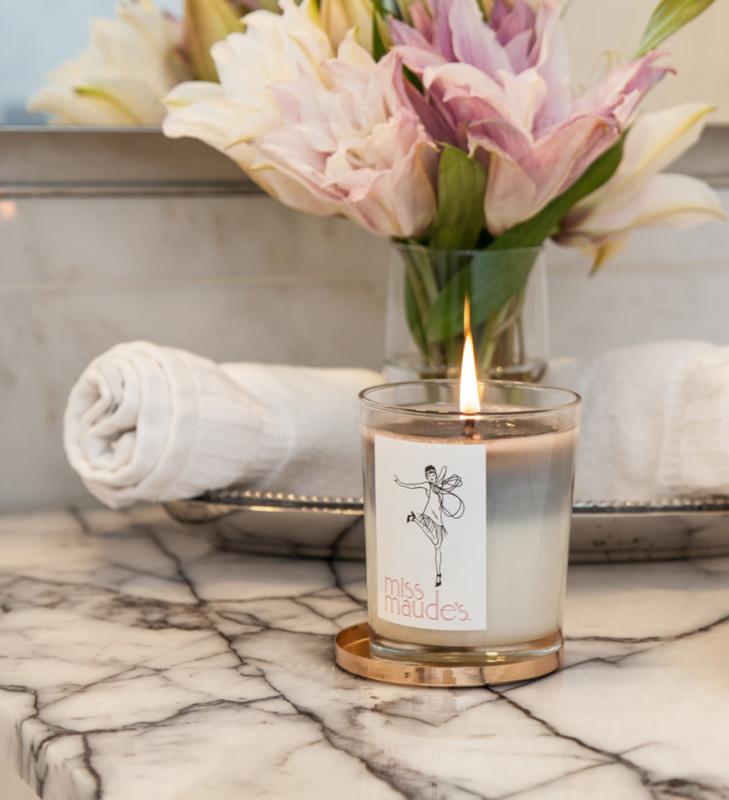 Each soy candle features a layer of Earl Grey Tea over a layer of Sea Salt, Rice Blossom, & Citrus. Visit us in person during store hours, or contact us to schedule an appointment. In the roaring ‘20s, Miss Maude set out to find the world’s best chocolate. Dazzled by the sweets, savories, spices, and spirits of London, Paris, Madrid, Tokyo, and beyond, she realized that no modern girl should have to settle for only one. So she combined the best confections into a single, delicate, and portable bar of chocolates.